Jeff Hans is a member of the RE/MAX Executive Club and has increased his sales volume year after year since leaving the mortgage world to become a full-time Realtor in 2008. Originally from the East Coast, Jeff graduated from Ithaca College in upstate New York with a BA in Business Administration and headed to San Diego to make his home in the late 1970’s. Prior to becoming a Realtor Jeff held positions as Director of Sales/Marketing and VP of Operations in several software development companies. He began his mortgage career in 2000 and at one time was co-owner of a local branch of Windsor Capital. Jeff utilizes his past career expertise in the areas of marketing and advertising, mortgage and finance, sales and negotiation to augment the skills he continues to hone as a highly successful Real Estate Professional. Jeff, wife Loretta and their two children have lived in the Poway Unified School District of North County San Diego since the mid 1980’s. Hence Jeff has an excellent working knowledge of San Diego County. His primary area of expertise is North County but he has represented both Buyers and Sellers from La Mesa to downtown, Oceanside to Valley Center and everywhere in between. Jeff credits his success in representing both Buyers and Sellers to his attention to communication and negotiation skills evidenced throughout the transaction. 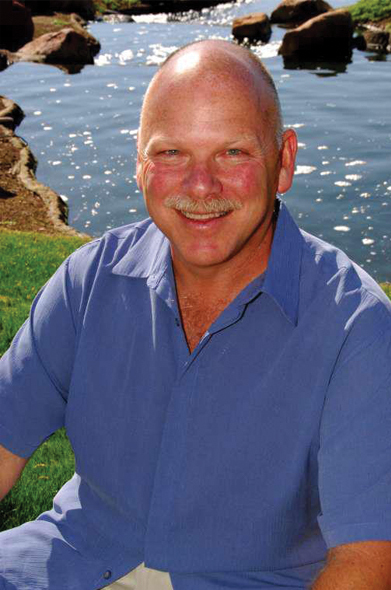 As a past president of the Poway Real Estate Professionals [PREP] and active member of The San Diego Association of Realtors, Jeff is consistently networking with the many service professionals and business owners that comprise the services involved in every real estate transaction. The friendships created and the respect he has earned among his peers is an important aspect of his ability to successfully navigate to the close of every transaction. From the moment you first meet him, you’ll recognize his love of life and eagerness to provide you with a level of service you’ll be anxious to share with family friends and business associates. If you are currently looking to BUY OR SELL YOUR HOME feel free to CLICK HERE TO CONTACT ME! Jeff Hans is a dedicated professional and a patient man. We worked with Jeff on the sale of our existing home in Scripps Ranch and the purchase of our new home in Rancho Bernardo. We had very specific home needs (single story among others) and Jeff worked literally day and night to get our home sold and us moved into our new home. The selling or buying process can be overwhelming at times and Jeff helped guide us through each step of the way with a positive attitude. We highly recommend Jeff for your real estate needs.